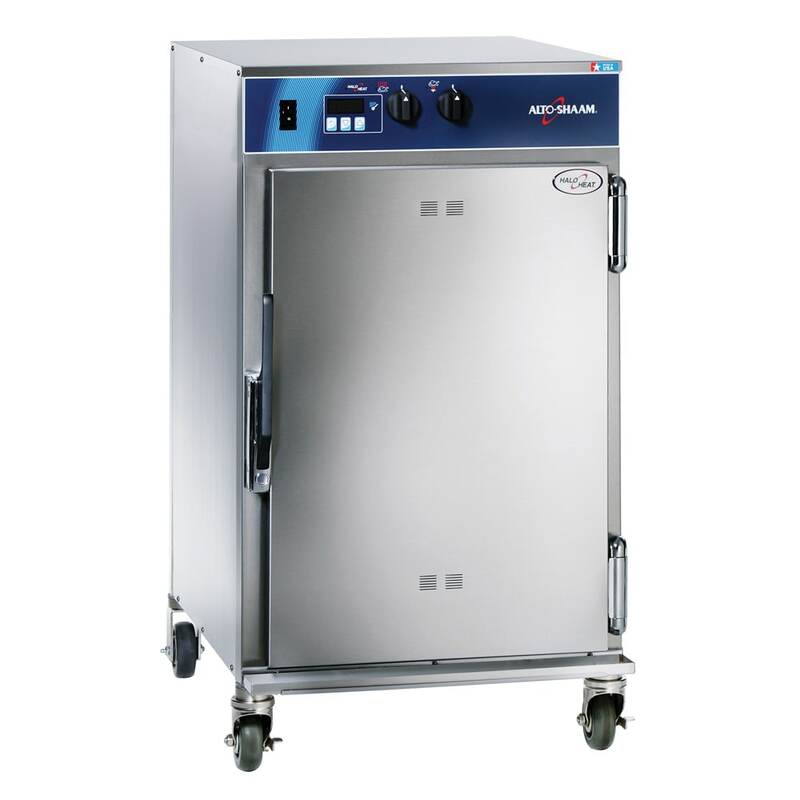 Alto-Shaam's 1000-TH-II low temperature cook and hold oven uses Halo Heat, a controlled, uniform heat source that maintains close temperature ranges throughout the cooking and holding process for cooking juicy meats and other products with minimum moisture loss. 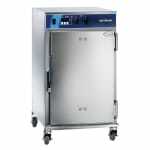 The stainless steel unit features a single oven compartment with a magnetic door latch. It has two side racks with eight pan positions, three stainless steel wire shelves, a drip pan with a drain and an external drip pan. No oven hoods, outside venting, fire extinguisher systems are required in most areas to install this cook and hold oven.